While rifling through a January 29, 1941 edition of the Free Press, I came across the following article. 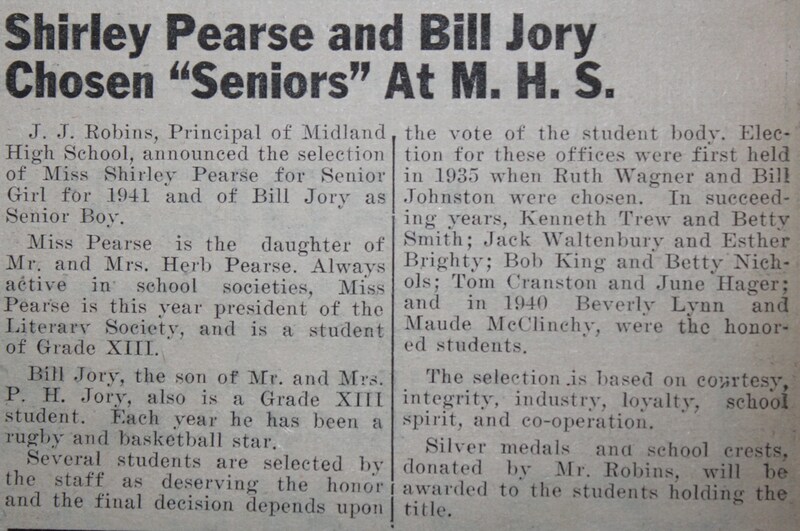 In September of that year, Bill Jory enlisted with the Royal Canadian Air Force. He was sent overseas in February of 1944, but by October he was reported missing. While on a minelaying mission in Denmark, his Halifax bomber had gone down in a field near the town of Idom; all 7 men onboard were killed. According to an eyewitness, the airmen were buried by German soldiers with a short prayer and a salute of honour was fired. Shortly after the liberation of Denmark, a crowd of about 800 civilians, members of the Danish resistance and a Squadron of Canadian soldiers from Flensburg (Germany, about a 230km journey) reburied the men in the Idom churchyard. Today, they are guarded by a cross made from their planes bomb rack.